The uses of prebiotics are varied, but mostly, they are beneficial to our digestive systems and therefore, to our overall health. You might have heard of them before but may not be very clear of what they can do. If that is the case, then read this report to find out more. Our digestive system performs the most important function in our whole anatomy. It breaks down the food we consume into smaller materials and distributes the nutrients throughout our body. The energy that fuels our daily activities comes from these nutrients, so it is important that they are properly processed and distributed. If our digestive system is not working as it should be, then our body will not get enough nutrients and will therefore be more susceptible to attacks from bad microorganisms, toxins and outside negative elements that can cause diseases. Keeping our gut healthy is a must, given that its operation affects our whole being. When there is something wrong with our digestive tract, our defenses against certain digestive illnesses are weaker. There are a lot of digestive-related diseases that can make our lives miserable and uncomfortable and may even be fatal to our health and to our whole being. Some of these conditions are gastroesophageal reflux disease, irritable bowel syndrome, diarrhea and constipation. The weakening of our digestive system also affects our immune system since the latter is largely dependent on the former. Infections and bacterial diseases are more likely to affect us if our immune system is weak, which can happen if our digestive tract is imbalanced or is not properly cared for. There are also cases when digestive problems lead to more serious problems, such as colorectal cancer. Prebiotics are non-digestible food ingredients that may be in the form of carbohydrates, dietary fibers or soluble fibers. The main role they play is to stimulate the growth and activity of good bacteria that are naturally present in our gut. They serve as food to these good bacteria and allow them to thrive. In this way, they are able to keep the disease-causing bacteria away. Prebiotics create an environment in the colon that bad bacteria are unable to tolerate, making it easier to keep these bad microorganisms at bay. They also stimulate metabolic activity, which results in wide-ranging health benefits. In short, they keep the good bacteria going which results in strengthening our bodies’ defenses against diseases. Since prebiotics are available from natural sources, most of them plants, they are considered safe for everyone, including children. Plants like onion, garlic, artichoke, kiwi fruit, chicory and asparagus are just some of the many botanic species that contain prebiotics. They are also already present in some daily food choices that can be bought from stores, like bread and cereals. Prebiotics are good for people who wish to keep their digestive tract healthy. Elderly people who suffer from indigestion and from discomfort due to slow metabolic activity can also benefit from eating foods that contain prebiotics. Those who have busy lives and who constantly travel are prone to digestive disorders and they can benefit from taking prebiotics. A lot of us cannot be bothered with planning our daily or weekly meals. Most of the time, we just pick up whatever is available and convenient. This can cause digestive problems, particularly if we have a habit of rushing through our meals. 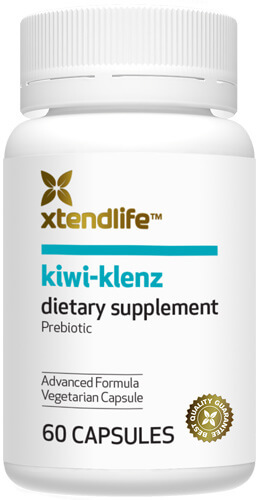 The best way to balance off the effects of lack of attention to our eating habits is to take a prebiotic nutritional supplement like Kiwi-Klenz. It is a convenient way to maximize the uses of prebiotics without breaking stride and without losing any of the benefits that we can get from these food ingredients.